K56021B: Jeff ... I'm Only Dreaming? Hello ... Hello ... my old friends ... It's great to see you once again! Here's something unusual that I discovered quite by accident the other day. 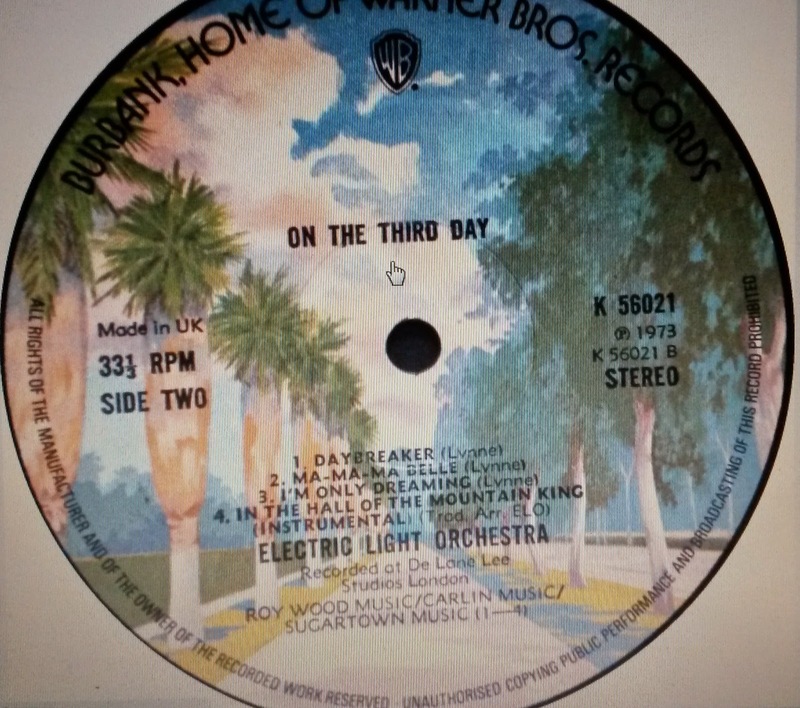 The original 1973 Warner Bros. 'Burbank' pressing of ELO's "On The Third Day" [K56021] lists track #3 on Side Two of the album as "I'm Only Dreaming" rather than the "Dreaming Of 4000" that we are all familiar with! 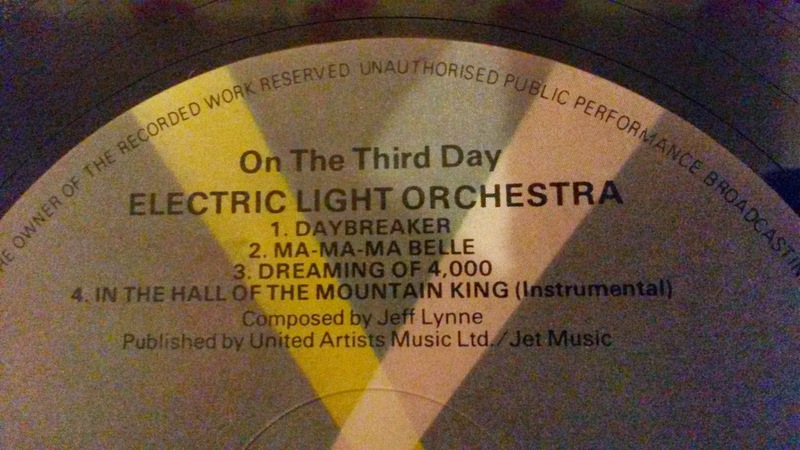 UAG30091B: "Daybreaker"; "Ma Ma Ma Belle"; "Dreaming Of 4000"; "In The Hall Of The Mountain King"
I'm not sure whether this is repeated on every pressing of the rare gatefold album or if it was later corrected by Warner Bros. but "Dreaming Of 4000" has always been sandwiched between "Ma Ma Ma Belle" and "In The Hall Of The Mountain King" since the first Jet/UA re-issue [UAG30091] in 1976, the Jet/CBS re-issue [JETLP202] in 1978 and every other vinyl/CD edition since. Note also that "ROY WOOD MUSIC" has a share of the publishing rights for the WB album too. If nothing else, this proves that being a collector of ELO and related vinyl continues to be interesting and rewarding. This is one of my favorite ELO albums of all "Time"! I have this on Clear Vinyl, loved everything about it, cover pic to Brian The Lion. I devoured this, back in the day when you knew every inch of the sleeve and the music.